There is a standard in pipe sizing that all pipes fittings and fixtures adare to this unification guarantee’s a smooth transition when constructing joints or repairing pipework. Developments such as when imperial was updated to metric left an uncertainty as to what to expect whenever attending a callout. Over time this transition of sizing has left imperial pipes and fittings a rarity. However the varity of tasks encountered whilst carrying out emergency pipework repair require being equipped for the unexpected. 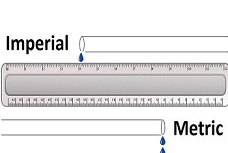 The standard pipe size’s in plumbing. 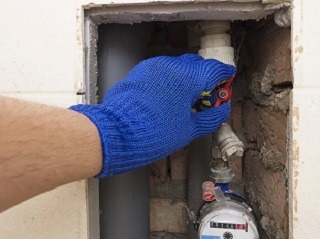 Most of the domestic pipework repair consist of working on 15mm copper pipe, this is by far the most commonly used material to construct a cold and hot water supply. Second to this would be the used of 22mm copper pipe, this size pipe is an ideal conduit for the transportation of large amounts of water around the heating system. One of the benefits of larger diameter pipes when installed as the hot water supply to a bath, is an increase in the flow rate. Developments of led to flexibility in the choice of materials used when constructing plumbing. 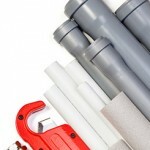 Plastic pipe has now taken a large percentage of the market, especialing in the sector of new build, where plastic pipe will often be found. Whether your choice of materials is plastic or copper the basic sizes will always remain the same. A consistent leak free water supply is vital. Most plumbers tend to specialize in a particular sector of the industry, whether it being inspection, diagnostics, installation or repairs. 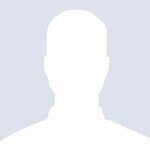 However a plumber will always retain the ability to tackle various other tasks outside there chosen field. Incubus within each of these sectors is one vital factor, without it none of the above would be possible. A consistent leak free pressurised supply of water, this is fundamental platform from which cold water plumbing and central heating is based on. 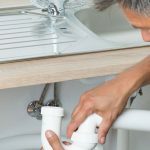 Moving outside the comfort zone of plumbing repairs within the property, pipework damage that occurs beyond the stopcock is a specialized sector. The reason for this is that not all plumbers are properad to carry out this type of emergency repair. Accessing pipework below ground will include excavating up to a meter of soil that may be covered either by concrete or garden slaps. The removal of soil is a must in order to inspect and evaluate the damaged pipework before moving ahead with the repair. We can quickly repair and resort your water supply. We understanding the mechanics of plumbing and how to successfully resolve fractures damaged fittings and burst pipes. Identifying the source of the problem can often be complex, however the leak detection and diagnostic aspect of plumbing repair is our forte. Whenever a sign of leakage appears we can quickly repair and resort your water supply with the least inconvenience.